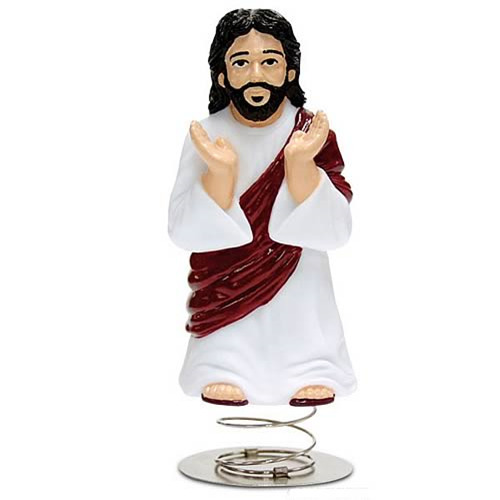 Put this 4 1/2-inch tall Dashboard Jesus in your car and he'll be your co-pilot. Even though he may guide you through the valley of gridlock, he alone cannot get you into the carpool lane. Each hard vinyl Jesus figure sits atop a metal spring with an adhesive base. If you don't have a car, stick him up somewhere that you could use a little peace, serenity or forgiveness. Illustrated window box.